Mark Bethel is a seasoned international real estate development executive capable of assembling teams and directing large and complex mixed use projects. Over the last 25 years, Mr. Bethel has managed the physical portfolio requirements for major real estate companies resulting in over $7 billion of development activities and over $2 billion of acquisitions. Several of his projects have won acclaim for excellence from various real estate & architectural institutions. He is founder and President of Transect LLC and is currently working in Beijing, China with an international development group, starting their business there. His current responsibilities are for the development of shopping mall based mixed use developments in first and second tier cities throughout China. 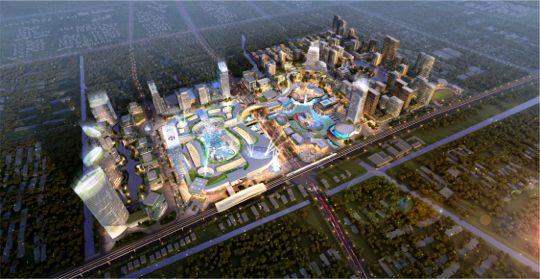 He has prepared several large mixed-use pre-development packages for major retail/entertainment developments that include hotel, office, residential with emphasis on connectivity using public spaces, art, sculpture and water features in Beijing, Shanghai, Chongqing, Shenzen, Tanjian, Nanjing, Suzhou, Kunming and Ningbo. During his consulting work with Majid Al Futtaim Group in Dubai, UAE, he led the development department in a restructuring exercise due to a shift to de-centralization of responsibilities for the development portfolio. This de-centralization required a complete review of personnel and their skills in order to assemble teams that could operate in this new model. While consulting with Nakheel Retail his responsibilities were to direct and manage the development activities for the company. This included several mega mixed use projects including the Palm Deira Mall (6MSF) on the third and largest man-made island in the Persian Gulf. His duties included the management of the Development, Project Management, Design, Construction and Tenant Coordination departments. He previously served as First Vice President of Development for General Growth Properties where his responsibilities were for the development activities for 28 malls located in California, Arizona and New Mexico. The activities for this region accounted for 20% of the company’s NOI. His projects with General Growth Properties as Vice President included an expansion of the Natick Mall, outside Boston, Massachusetts, which was the first mixed use development undertaken by GGP. At Swerdlow Real Estate, he completed the Dolphin Mall, a $300 million, 1.6 million square foot regional shopping center in Miami, Florida. Mark then joined Davis Street Land Company and completed Renaissance Place in Highland Park, Illinois, one of the first of its type that reflects the revival of the mixed use building type, combining retail, commercial and residential space with entertainment and dining venues. During his tenure as Senior Vice President at Heitman Retail Properties, he led the due diligence team for 26 regional shopping mall acquisitions, oversaw the entitlement process, planning & zoning presentations, and the design and construction of six major additions to the centers and renovated eight of the centers valued at over $2 billion. From 2004 - 07 he was an adjunct professor at DePaul University teaching a course on Real Estate Development to second year MBA students. He has provided annual scholarships to University of Kentucky, given guest lectures and created design competitions for architecture school studios. Mark is a graduate of the University of Kentucky, School of Architecture and is a NCARB certified architect. He has an active philanthropic commitment. Mr. Bethel and a fellow alumni personally funded and coordinated a project involving two Universities; the College of Design, University of Kentucky, and the Southern California Institute of Architecture (SCI-Arc) bringing students to Henderson, Kentucky to meet with citizens and assess potential future development through a visioning charrette and execution of innovative urban planning principles. This has been a multi-year commitment resulting in the project’s selection for the 2012 International Architecture Biennale, Rotterdam, Netherlands. Author: He was co-author of the book "Old Henderson Homes and Buildings," written with Boynton Merrill, author of "Jefferson's Nephews", and Gail King, Wall Street Journal contributor and author of "Currents: Henderson's River Book". He has served on the Program Committee for the International Conference of Shopping Centers, Center Build Conference and the Urban Land Institute Membership Committee.